These Prvi Partizan 308 Winchester rounds are topped with 165 grain Pointed Soft Point Boat Tail bullets. 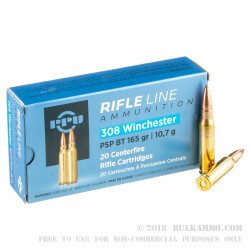 These 308 bullets are loaded into new, reloadable, non-corrosive Boxer primed, heavy walled, brass cases. The muzzle velocity of these loads is a very fast 2,673-feet per second, and the muzzle energy of these cartridges is a heavy hitting 2,618-foot pounds. 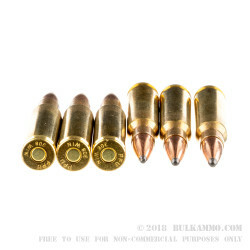 These rounds are perfect for hunting medium to large game, and in the smaller 20 round boxes, they are easy to transport while on the hunt. 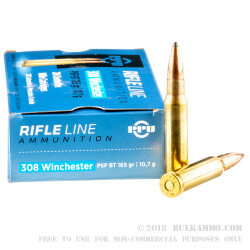 They can also be used for plinking, competition shooting, or testing out a new .308 Winchester rifle platform. Get yourself a few boxes now and be ready the next time your number is drawn. 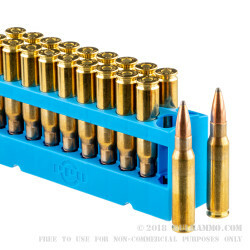 When you order this ammo, you’ll get a single box with 20 rounds inside that are ready for the range. Serbian ammunition manufacturer PPU or Prvi Partizan was founded over 90 years ago, and they are still producing some of the best and most widely used Com-Bloc rounds in the ammo market. Since 1928, Prvi Partizan has made quality ammo for customers at affordable prices. But most of their popularity is derived from manufacturing rare calibers. They have produced the 8mm Lebel, 8x56mmR, the 7.92x33 Kurz, and many other rare loadings. They offer many civilian options and multiple ammunition types for military forces worldwide.